Particularly at our time preventive medicine is moving more and more into the foreground. The same applies to dentistry where the trend is also moving into the direction of prevention. Healthy teeth and a functioning dentition are an important prerequisite assuring a lifetime of healthy teeth, gums and maxillary joints. Straight teeth and an esthetic appearance are considered a good start for establishing self-confidence and positive personality development in children and young people. It is recommended to have the first check-up by an orthodontist at age 4. Thus malocclusions such as cross bite, open bite, etc. would be detectable at an early stage and, ideally speaking, treatment could get a good start. 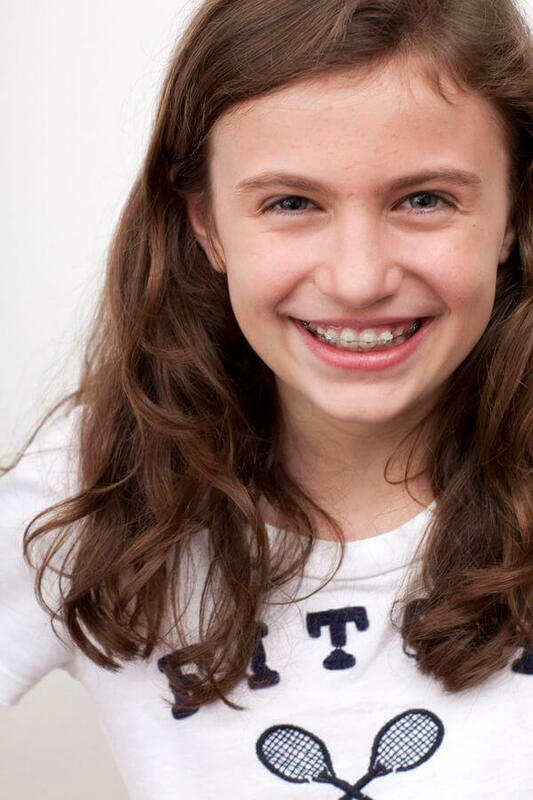 The best point in time for starting orthodontic treatment would be between ages 8 and 9. What are the most frequent signs correctable by orthodontics? 1. Receding lower jaw and/or protruding upper incisors: Children with protruding incisors in the upper jaw suffer 50% more injuries of the teeth! 2. Lateral crossbite: In most of these children the upper jaw is too narrow so that the lower jaw laterally overlaps the upper jaw, implying that the upper jaw cannot develop properly and the teeth often do not have the space they need. Moreover, growth is asymetrically directed if there is a crossbite. 3. Frontal open bite: This is often due to sucking (thumb or pacifier) or restricted nasal breathing. These children sometimes also suffer from a malfunction of the tongue. 4. Protruding lower jaw and/or receding upper jaw, resulting in a reversed overbite of the incisors. 5. Crowding of teeth. During change of dentition, temporary crowding is no problem whatsoever, but if spaces are so narrow that the permanent teeth have no chance to erupt, it is time to start treatment. During growth (childhood and adolescence) both orthodontic treatment and insertion of brackets may be carried out. When to start and what kind of treatment will be appropriate differs from case to case. We are glad to offer advice. In some cases a two-phase treatment produces the best results. In the first phase as long as there are some primary teeth still in place (8 – 12 year4s), we recommend removable or combined brackets (see below). During this period the malocclusion of the jaws is corrected. Most of the time this already has a positive effect on repositioning. This first phase may last between 12 and 24 months. In the second phase after eruption of all permanent teeth (around 12 years of age), fixed brackets are the best choice (see below). Sufficient space is created for all permanent teeth accompanied by straightening. Between the first and second phase – depending on the time of changing dentition – treatment may be interrupted for a while. All told the active period of treatment for children and adolescents should not exceed three years.